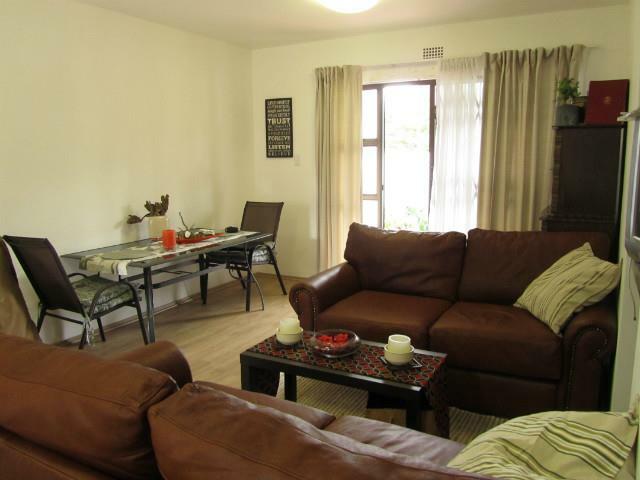 This fully equipped, newly decorated modern 2 bedroom, 1 bathroom ground floor flat in a secure complex has a small garden, a built in braai on the patio, the use of a communal swimming pool and a communal clubhouse and braai area. Communal laundry on site for tenants use and a designated parking bay behind security gates, makes this an ideal holiday flat. Sleeps 4 comfortably. Minimum of 5 night bookings accepted. ALSO AVAILABLE FOR SHORT TERM RENTALS - PRICE ON REQUEST.